Tosh.0 just announced a new dangerous Dragon Breath Challenge. Daniel Tosh featured a hair-raising new video on Tosh.0 which shows people spitting fire across 7 levels of a parking garage. The show posted the video on Facebook and Instagram with this caption: Now I want to see four college bros armed with whiskey battle a dragon.. Which led many to believe that the Dragon Breath Challenge was on. But don’t be fooled. This video was filmed by professionals and they’re warning viewers of the dangers of trying it at home. The video was posted back on September 21st by Derrick Vermin along with a longer behind the scenes video. The stunt was performed in Fresno,CA at a photo meet-up called #BottomShelfSpecial, where the participants all dress up and try quote “wild things” with photographers. But this wasn’t the first time the stunt was attempted. Three of the performers ran across the parking garage staircase back in January and tried it on a smaller scale. The hometown group is called Circus Et Cetera, and are regularly joined by their neighbors from San Luis Obispo called IgniteFireDance, Nameless and from Visalia called Nameless Fire Tribe. After the team posted the video on YouTube, Facebook and Instagram, someone from Brazil reposted it and within a couple of days their post has hit about 2.5mil views. Someone else reposted it on Reddit’s Gifs board and blew up on there, also reaching 2.5mil views. After that, it just kept popping up. Comments like, Let’s Try This! Started flooding the viral videos and the group grew concerned for the safety of others. However, they are concerned about the public trying it out especially as a party trick with alcohol. Alcohol and whiskey are potentially flammable. In fact, back in the 1700s and 1800s, tavern owners used to light samples of whisky to see if it was watered down. But Cait commented: Daniel Tosh we thank you for sharing our video, we do not thank you for encouraging the death of frat boys everywhere. 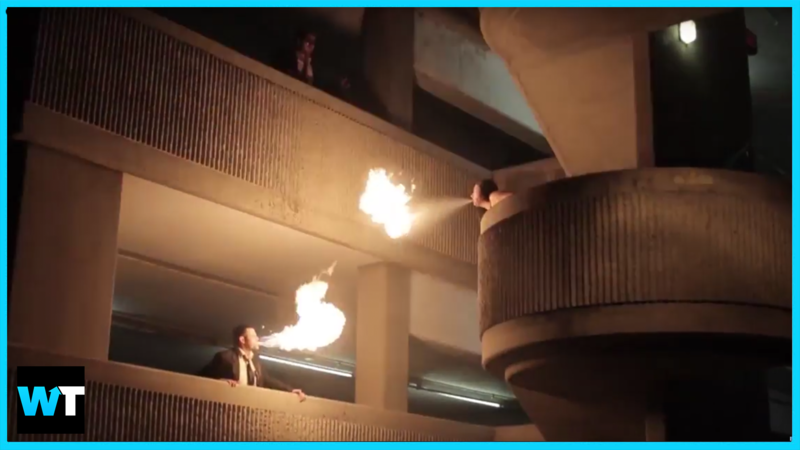 Fire breathing is a very dangerous art form, not just a sloppy bar trick. We take what we do very seriously and we please ask that no one try this for their own wellbeing. Firebreating is performed by spitting out a jet of flammable liquid over an open flame and can be incredibly dangerous and even for professionals. Most obviously, burns are an immediate concern, because even if you think you are in control of the fire, a common phenomenon called blowback occurs when the flame follows the fuel back into the performers mouth. Other risks arepeptic ulcers, acute respiratory distress syndrome, and fire-eater’s pneumonia. Which could result in chest pain, fever and coughing up blood.